**In case a certain Drink is unavailable, alternate option of same value will be provided at outlet. 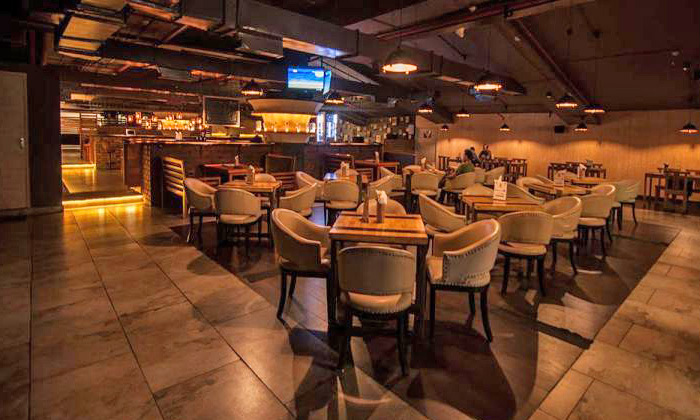 One of the places that serves crafted beer combined with smoking barbeque is The Brew and Barbeque, located in Marathahalli, Bangalore. The restaurant serves a wide range of scrumptious Continental and North Indian delicacies, while the microbrewery offers you beers that will pair well your food. The restaurant has been sophisticatedly designed and fitted with intriguing interiors that is sure to charm anyone who walks in. Bollywood music setting the mood, barbeque delicacies filling your tummy and beer helping you unwind, makes The Brew and Barbeque one of the best options to choose from. Brew up some fun and so much more at The Brew and Barbeque!